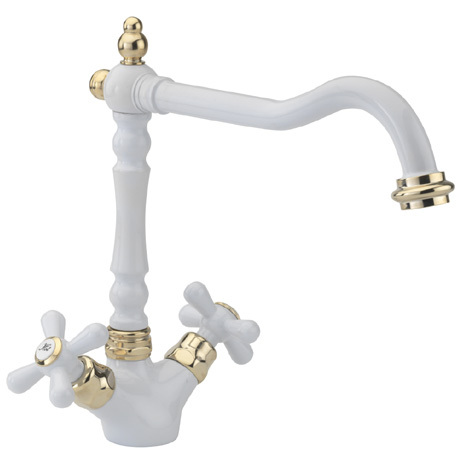 The beautiful traditional white & gold plated trim mono sink mixer is a part of the "French Classic" range from Tre Mercati. The French Classic is a traditional range that will bring Opulence and prestige to your kitchen. The Tre Mercati French Classic Mono Sink Mixer is made to the highest standards using the latest methods and best materials. This classic design comes with standard tap washer cartridges.